A Shopify subscription store for a unique start-up. 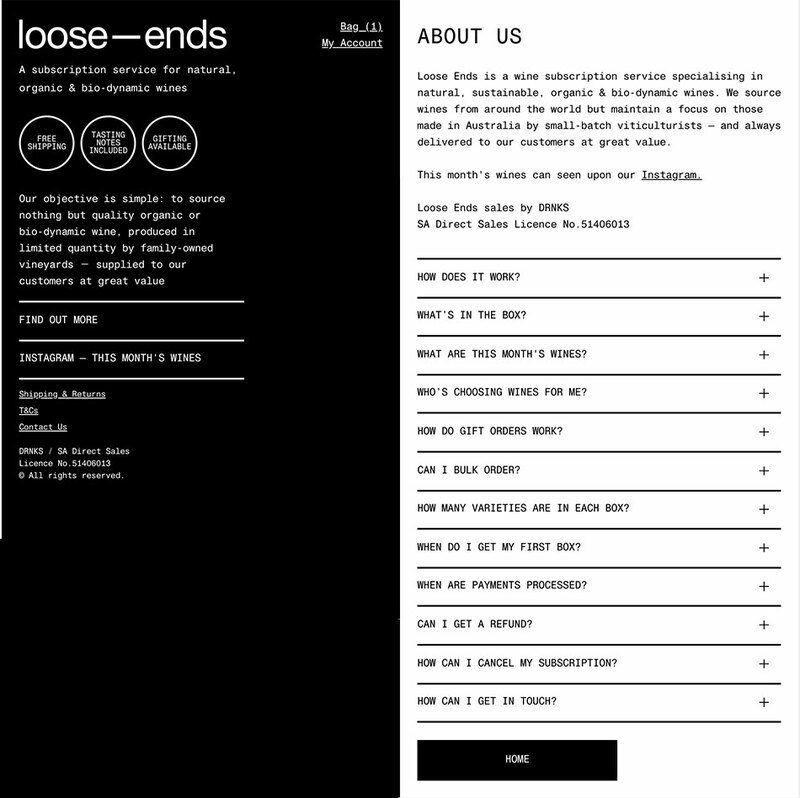 Loose Ends is a wine subscription service specialising in natural, sustainable, organic & bio-dynamic wines. They source wines from around the world but maintain a focus on those made in Australia by small-batch viticulturists. 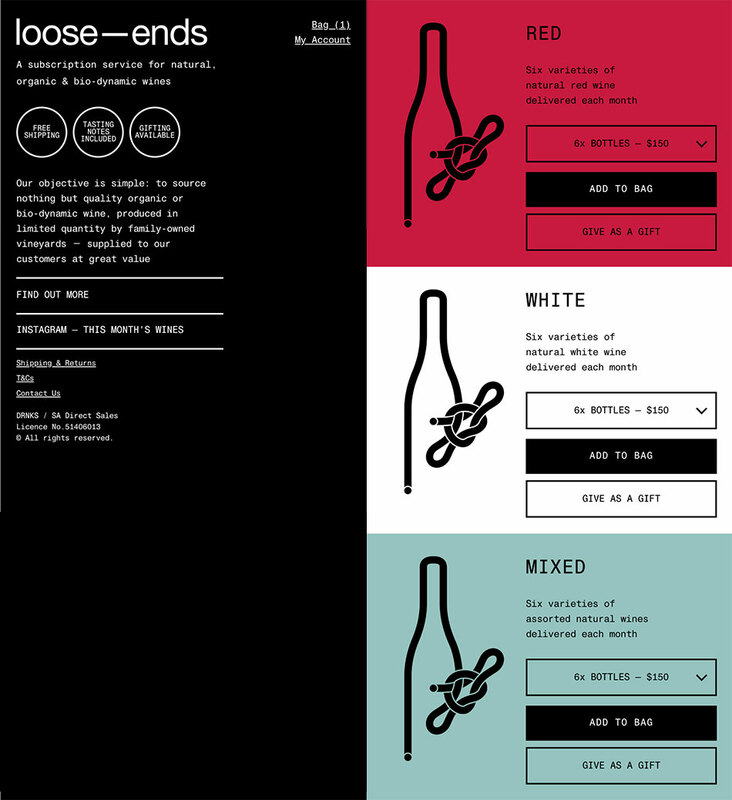 The requirements for the website were a perfect match for the Shopify eCommerce platform, using the Recharge Payments subscription app to power the recurring payment components of the site. The app provides important subscription management features that allow customers to login to view previous charges and to pause or cancel subscriptions.